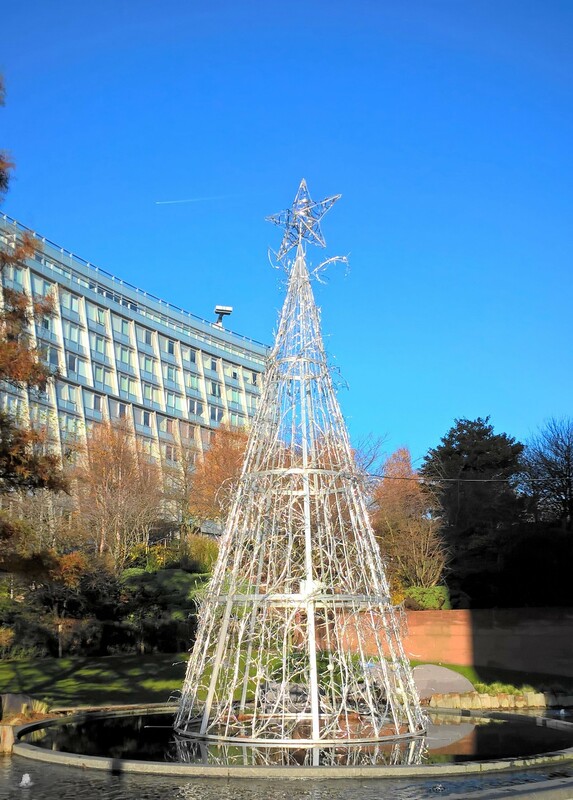 Liverpool One is home to some of the most beautiful Christmas decorations this year. 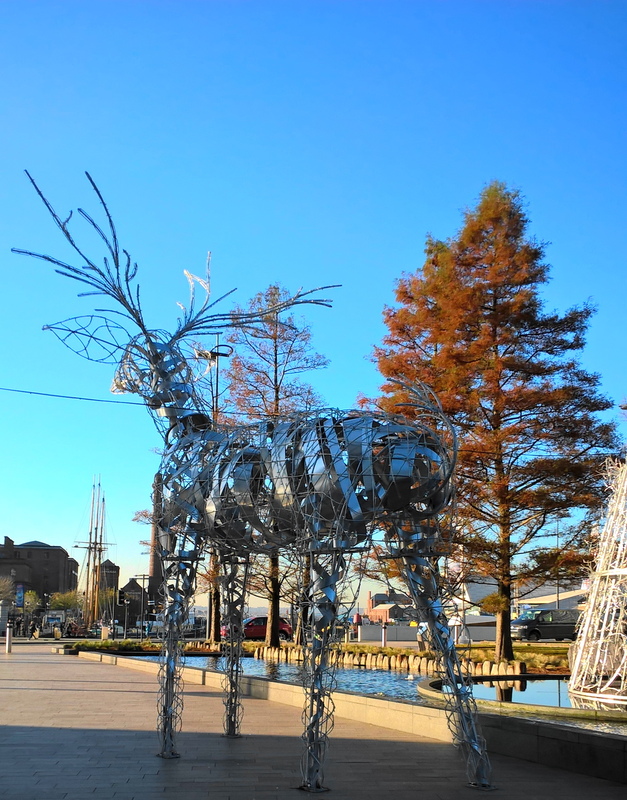 In the heart of the city, just across from the Albert Docks and next to the Hilton hotel, is a stunning Christmas Tree and Reindeer. But these are no ordinary decorations the towering structures can be seen from far away as they are giant statues made out of intertwined pieces of metal to form the amazing display. As always, Liverpool has created something different; there is no tacky decorations here just simple, beautiful statues that everyone will love. Most Christmas decorations nowadays seem to be full of bright colours and garish lights, so this display is a welcome change. They create a Christmas atmosphere as they welcome shoppers to Liverpool One. Who doesn't love a giant reindeer? These are great to get pictures with and are popular with visitors to the city. Visitors love the chance to get a photo with this festive display. Why not stop off while shopping and have a look at these wonderful creations? 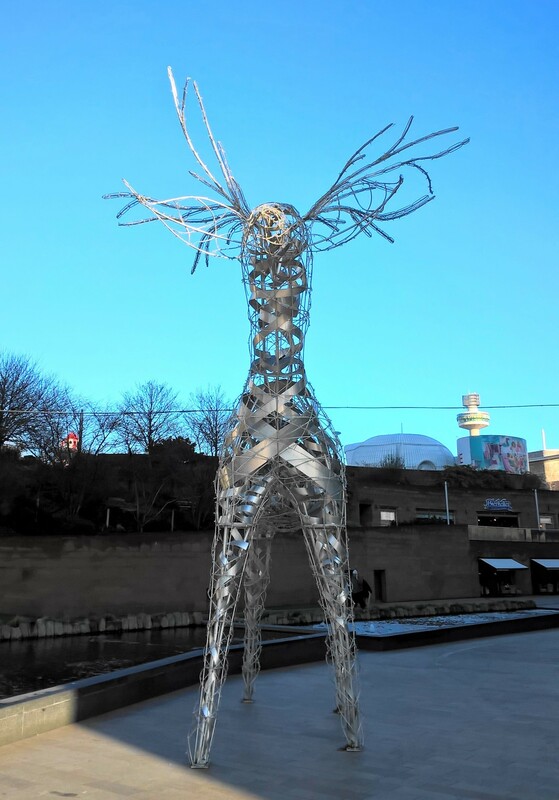 You will certainly spot them as you turn the corner from the shopping complex and they can be seen all the way from the Albert Docks. Liverpool has never been afraid to have outdoor artwork around the city, it is easy to see why the city was the Capital of Culture and it still keeps up its impressive work making the city a wonderful place to visit. These are just some of the festive decorations to discover at Liverpool One this year, there is something sparkly in every part of the complex and a mix of traditional and new decorations to find. They are the perfect compliment to the Christmas activities on offer. Liverpool is home to amazing Christmas Markets, a carousel and rides there is so much more to do than just Christmas shopping. Make sure you visit before the wonderful display is gone for the year and check out all the wonderful things to do in Liverpool.